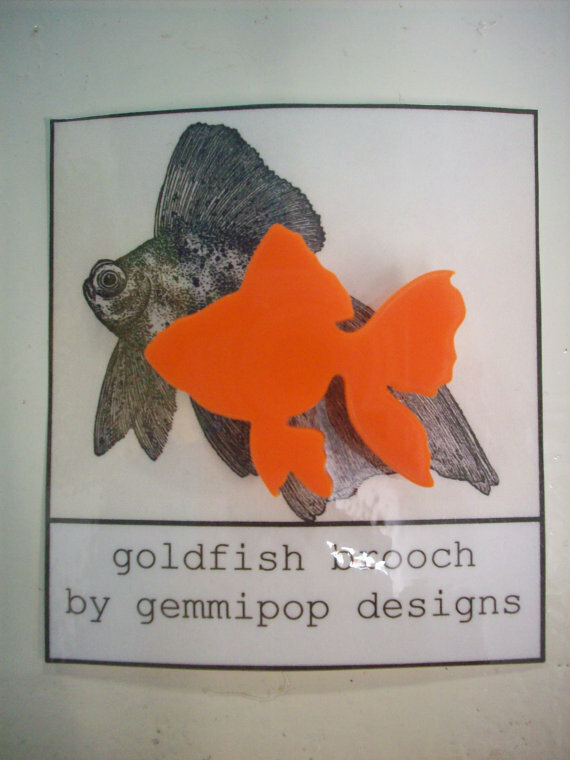 I think Gemma just needs to re-add the listing to her Etsy shop, probably someone has bought a pair so it temporarily disappears until she can put it back up. I love the cow brooch! perhaps in a wacky colour?? Ooh what a fab giveaway! Going to check out Gemma's shop right now! Love the swallows and the deers! Oh this stuff is all the rage now, must check it all out. BTW linky thing not working for me...is it just me? I did set it so you have to have a backlink, but I know you always do link to me, so it's obviously not working properly, maybe because you're in a different country? I've fiddled with it, try again now. Love the flamingo and the bunnies so would love to enter! 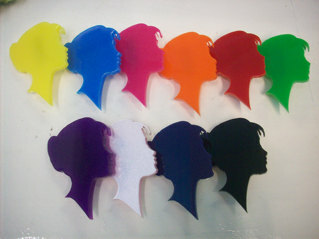 I'd have to go for this : http://www.etsy.com/listing/93268511/laser-cut-acrylic-teapot-brooch but tempted by so much more! I follow on GFC, and both of you on twitter, and I have tweeted about the competition as well! Ooh I love the glasses necklace, definitely my favourite! My fav has to be the blue swallow brooch - would be perfect with the rest of my collection. Gorgeous giveaway! 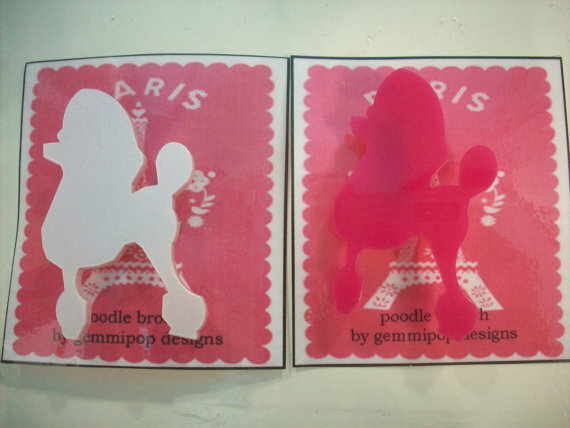 I have been looking for the perfect poodle brooch for some time, I think that is probably my favourite though it is tough to choose just one! All of her designs are super cute. I really like the swallow, parakeet, gray hound, but the cat eye glasses are my fav. I am following you on GFC as Gillian Holmes. What great designs! It was hard but I think that my favorite is the bird brooches with the little birds on the limbs. I follow you with the Google Friend thingie. Finally I can comment!!!!!! These cameos are really cool I am loving the pink and orange one. Can't wait to see a picture of YOU rocking it!!!! 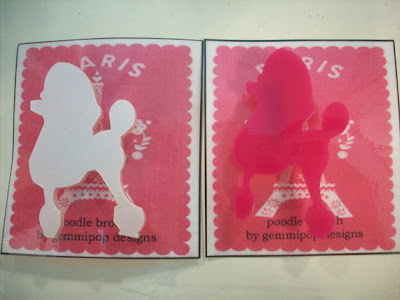 I want the pink poodle, it's the most fabulous thing ever! What a clever girl she is! Ah they are all so cute!! :) That cameo is so elegant, I think the bunny brooch might have to be my favourite though. I am following you on GFC and Twitter. Wow! This stuff is so lovely! 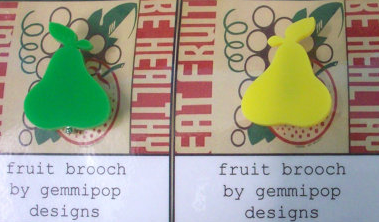 I am in love with the teapot brooch - it is so me - although I would have real trouble choosing just one colour! My my what a fab giveaway - thanks for teh intro to such a cute label. I'm spoilt for choice: tempted by the Scottie Dog as I had one very similar that I bought from Tammy Girl when I was about 12!. That said I love a tea pot motif. 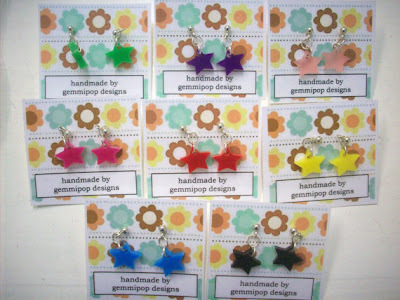 My 6 year old would love the dinosaur and I'm also drawn to the simple star earrings (I'll take one in every colour). Anyway..... have followed on twitter and tweeted! Fab giveaway! I love the deer necklace the most - so cute! The hedgehog brooch is my favorite. He's got lots of character! I follow on Twitter and Bloglovin'. I also tweeted about the giveaway. Hi I love the kitty brooch, but they are all fabulous! I follow you on Google Reader. I think my fave is the bow shaped necklace! But I like all of it. I like I ABSOLUTELY love that hedgehog brooch as well as the cameo one, but I think she probably based those delicate features on my own petite visage. All Ive done is eat the 99s LOL but I can't wait to read everyone elses! Ooh! Tough choice, but I think my favourites are the Bird Brooches. What a lovely giveaway! I've just checked out her etsy shop and there are so many cute things!!! My favourites are definitely the teapot brooch in black and the bunny brooch in white! If I don't win I will definitely have to buy them myself! Oh how hell did I miss this? Well I adore the cat eye sunglasses necklace and poodle , swan brooch. Deer necklace too. I will tweet in a bit. Great giveaway. 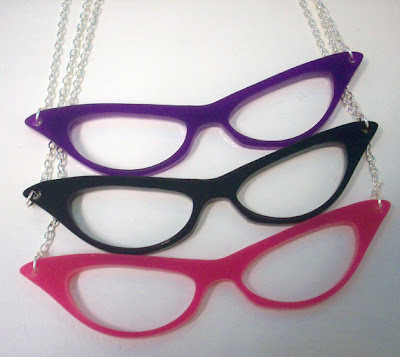 I love loads of stuff on the site but particularly love the glasses necklace. I'm following you both on twitter & have tweeted @middleageddrama. Beautiful things! My favourite is the goldfish. It's hard to choose, so many lovely items! Ooh the teapot. No wait! 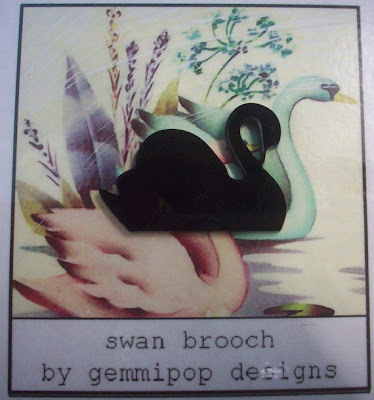 The cameo brooch in black. I want them all! Lovely giveaway - thank you!